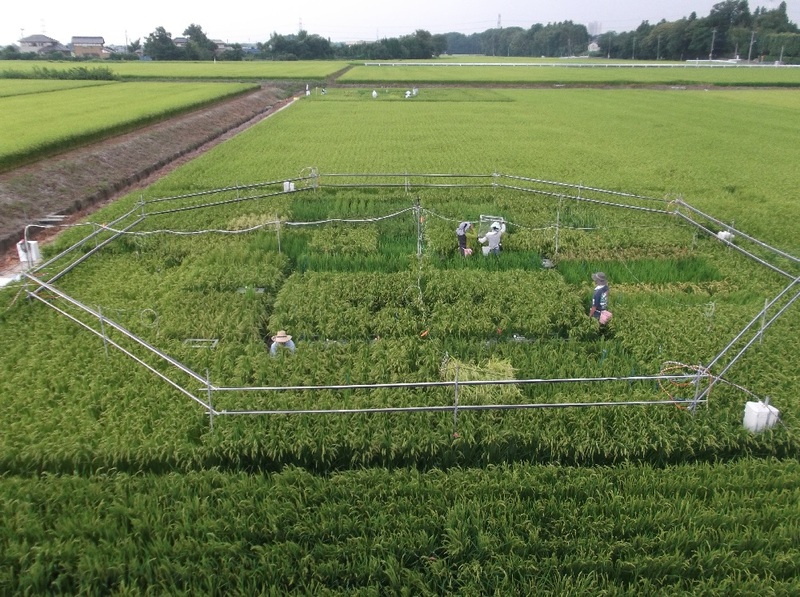 (CN) – Rice grown in an environment with higher concentrations of carbon dioxide has fewer nutrients, according to research started by the University of Tokyo. The findings published Wednesday raise concerns about how climate change will affect rice, a basic food staple for much of the world population. University of Tokyo professor Kazuhiko Kobayashi began experimenting on how the gas affects plants 20 years ago, using concentrations that are expected in the future as greenhouse gas emissions worsen. As carbon dioxide levels rise worldwide due to industrialization and other factors, scientists are concerned that a decrease in rice’s nutritional value could lead to more malnutrition. The experiments were conducted by Japan’s National Agriculture and Food Research Organization. In open fields in China and Japan, the researchers built plastic pipe octagons that hovered about a foot over the rice plants. The pipes released different concentrations of carbon dioxide onto the plants. The researchers learned they had to hover the pipes above the ground “because raccoons kept chewing through everything and jeopardized the experiment,” Kobayashi said. Carbon dioxide in the atmosphere is measured in parts per million. In the second half of the century, concentrations of the gas are expected to rise to between 568 and 590 parts per million. The researchers found that rice grown under higher concentrations of carbon dioxide had lower levels of iron, zinc, protein and B vitamins. They looked at 18 varieties of rice in total and analyzed half of them in China for levels of B vitamins like thiamine, riboflavin and folate (B1, B2, and B9). “Rice is not just a major source of calories, but also proteins and vitamins for many people in developing countries and for poorer communities within developed countries,” Kobayashi explained. In a number of countries, mostly in southern Asia, hundreds of millions of people get at least half of their daily food energy from rice, the researchers explained. The research was funded by National Basic Research Program of China, Natural Science Foundation of Jiangsu Province in China, and Youth Innovation Promotion Association of Chinese Academy of Sciences. In recent decades, scientists have developed controversial genetically modified rice called “golden rice” in an attempt to deal with Vitamin A deficiencies globally. Environmental and anti-globalization activists have argued genetically modified crops are unsustainable solutions and can lead to loss of local biodiversity. Giant agriculture companies and philanthropists like the Bill and Melinda Gates Foundation have supported the effort to develop “golden rice” as a method to combat hunger and vitamin deficiencies.